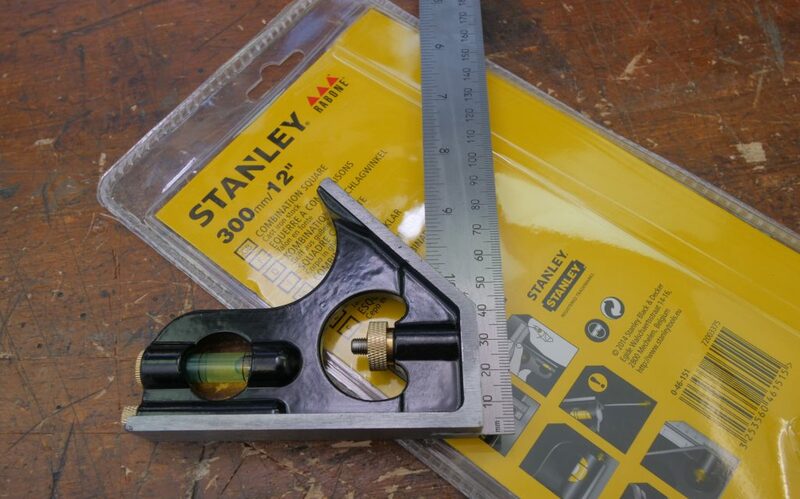 Paul Sellers recommends a 12” (300mm) combination square as this should be suitable for almost all woodworking projects. He finds the try squares don’t remain accurately square as with the better quality combination square. When buying a square, look out for one with a cast iron head as the ones with aluminium heads tend to go out of square after a while and are difficult make square again. If you cannot get one with a cast iron head, just make sure you check that it is square before starting each project. The ones with a cast aluminium head can be found for under £10, the ones with a cast iron head are more expensive and can be bought between £25-30. To view the parts of a square, click here. We purchased this combination square from Amazon Prime for £31.50*. If you are ordering from the US, we recommend this one from Amazon. Please note Paul has not purchased this, however it seems to fit his recommended criteria. So the question is how would you check for square if you have no reference tool. Our ‘Setting up a Square‘ guide explains how to check for square.